Bestel Puss in Boots voordelig bij de grootste kinderboekwinkel van Nederland. Levertijd 1 dag. There was a cat whose name was Puss, and he could talk. 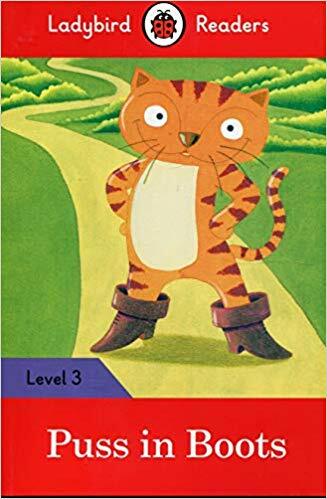 Puss had an idea to help his master, so his master gave Puss some boots and a bag.Ladybird Readers is a graded reading series of traditional tales, popular characters, modern stories, and non-fiction, written for young learners of English as a foreign or second language.Beautifully illustrated and carefully written, the series combines the best of Ladybird content with the structured language progression that will help children develop their reading, writing, speaking, listening and critical thinking skills.The five levels of Readers and Activity Books follow the CEFR framework and include language activities that provide preparation for the Cambridge English: Young Learners (YLE) Starters, Movers and Flyers exams.Puss in Boots, a Level 3 Reader, is A1+ in the CEFR framework and supports YLE Movers exams. The longer text is made up of sentences with up to three clauses, some expression of future meaning, comparisons, contractions and relative clauses.